Heating and Air Conditioning, Ardmore, PA :Delfera Heating and Cooling Co.
DelFera offers ARDMORE professional, trusted and reliable heating and air conditioning services 24 hours a day, 365 days a year. 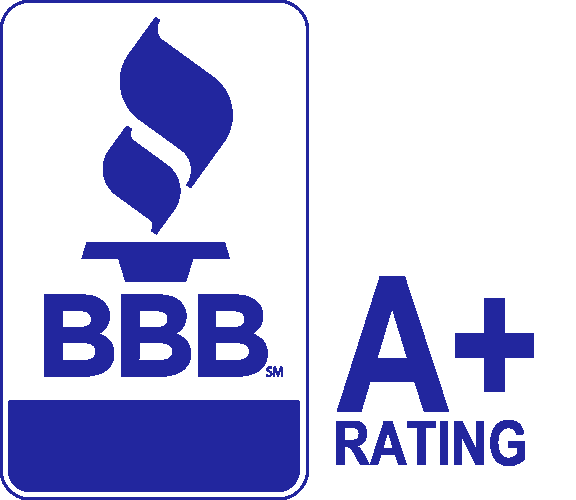 Our professional, NATE & EPA Service Technicians are fully licensed, and insured, providing ARDMORE homeowners, businesses and property management companies with the highest quality products, services and solutions at affordable pricing. We offer same day services from routine maintenance, emergency repair, to same day system replacement and installation. Please click on our $$$ Saving Coupons to save! We customize our preventative maintenance and maintenance service agreements to meet the unique needs of our customer base in ARDMORE. From homeowners, businesses, to property management companies, our goal is to ensure that our ARDMORE customers obtain the maximum life of their equipment, keep operating costs at a minimum and avoid sudden breakdowns. Please click on our $$$ Saving Coupons to save! DelFera offers ARDMORE professional, trusted and reliable heating and air conditioning services 24 hours a day, 365 days a year. We service all heating systems, from gas, oil, to electric, and from hot water boilers, furnaces to heat pumps. Our highly trained, NATE & EPA Service Technicians are equipped with all the latest state-of-the-art tools and knowledge to ensure ARDMORE homeowners, businesses, and property management companies are experiencing safe and reliable comfort all year long. Please click on our $$$ Saving Coupons to save! DelFera offers ARDMORE professional, trusted and reliable air conditioning services 24 hours a day, 365 days a year. Our professional, NATE & EPA Service Technicians can repair any type of cooling system, from central air conditioning, split systems, to heat pumps and all makes and models. Our Service Team can also help you replace your existing air conditioning system with a new energy-efficient air conditioning system that will provide superior cooling and comfort and save on your utility bills. Call us today to learn more about our high quality air conditioning products and services. Please click on our $$$ Saving Coupons to save! Whether you are looking to upgrade your old heat pump, or you just need routine maintenance and repairs, you can count on DelFera 24 hours a day, 365 days a year to meet all of your heat pump installation, maintenance, and repair needs. We are committed to providing the highest quality products, services and solutions at affordable pricing. Call us today to learn more about our heat pumps and professional heating and cooling services. Please click on our $$$ Saving Coupons to save! Maintaining a high level of indoor air quality is a serious concern for many ARDMORE homeowners and businesses. DelFera provides various products that can remove dangerous contaminants from the air. Whether your main concerns are cooking fumes and pet odors or pollen and dust mites, we will help you find the right product to make your indoor air safe and breathable. Call us today to learn more about our indoor air quality products and professional heating and cooling services. Please click on our $$$ Saving Coupons to save! The average life expectancy of a hot water heater is approximately 10 to 13 years. If your water heater is not producing enough hot water or leaking you may need to replace it. Our technicians can help you with your decision. We offer a variety of products for you, including high efficiency water heaters, tankless water heaters, electric water heaters and gas water heaters. Call us today to learn more about our hot water heaters and professional heating and cooling services. Please click on our $$$ Saving Coupons to save! • Fully insured, registered, and licensed company performing all work to and/or exceeding industry codes. • Flat Rate Pricing – One set fee for all service repairs regardless of the length of time. • 2-YEAR Parts and Labor Warranty on all Repairs. • 24 hours a day; 365 days a year! • N.A.T.E. Certified Technicians – Leading certification in the HVAC industry. • Our team is E.P.A. Certified – Ensuring safety and proper use/recovery of refrigerants. • Our certified team receives continuous safety and factory technical training. • Our full team is extensively background checked and alcohol/drug free to ensure safety for all. • Care for you and your home in a workmanlike manner, using shoe covers, drop cloths and clean up after each job. • Courteous Customer Service Professionals. • Our Vehicles clearly marked and fully stocked with factory parts. • DELFERA team brings the best possible solutions for our customers’ benefit. Sign up to get reminders to have your heater and/or air conditioner tuned up.